Exciting news! We have opened up a 2nd space at The Bourse! If you work or live near center city, this will be a convenient place to stop for all your handmade Art Star goodies. Our shop is a 17ft x 12ft space just to the right of Menagerie Coffee when you enter at 5th and Market. 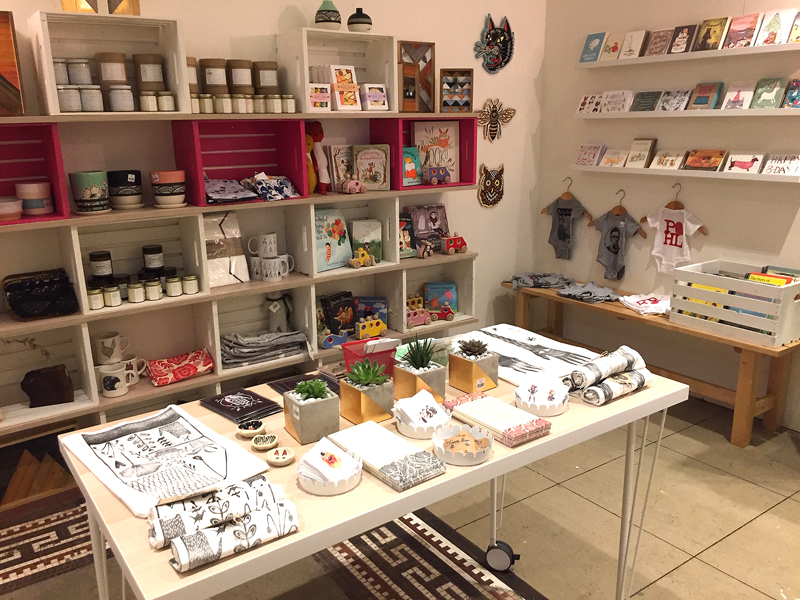 Much like our Northern Liberties shop, we’ll be selling a diverse collection of handmade goods by local and national artists. If you haven’t been to the newly renovated Bourse – it is beautiful and filled with new, yummy food vendors like Chaat and Chai, FreeByrd Chicken, Grubhouse, LaLo, Mighty Melt, Rebel Taco, and more! Plus, Bluebird Distillery which makes amazing cocktails. There is also Penzy Spices right on the corner and a bunch more. Founded in 1891 by George Bartol, The Bourse was the first in the world to house a stock exchange, maritime exchange, and grain-trading exchange simultaneously. Today, the historic space has been repurposed into an internationally inspired food hall with deep local roots.